Supermodel Naomi Campbell has had an illustrious career, but has yet to land a beauty contract until now. NARS Cosmetics reveals that the British beauty will front its spring 2019 campaign. 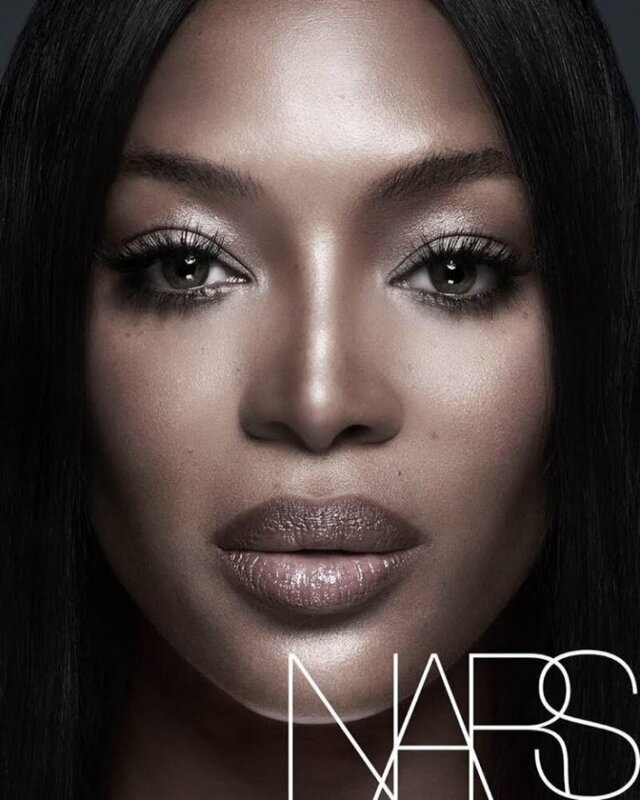 Captured by brand founder François Nars, Naomi stuns in a closeup shot where she models a glossy lip and full lashes. The second black and white shot features the stunner flaunting her legs in a long dress featuring side slits. All smiles, she radiates pure beauty.